A customer favorite! 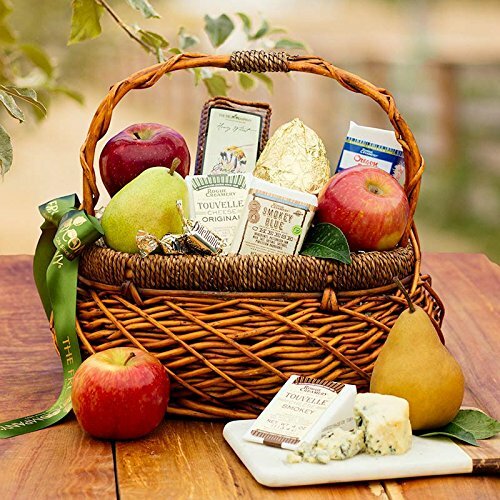 The Artisan Fruit and Cheese gift basket is brimming with award-winning blue cheeses, TouVelle cheeses, juicy apples, pears, and honey wheat crackers. Includes 2-day Free Shipping for quick and easy delivery! Basket Dimensions: 14" Length x 10" Width x 5.5" Height For optimal freshness and quality, or due to seasonality, we reserve the right to substitute certain ingredients of equal or higher value. This Fruit and Cheese Basket is a customer favorite!